Madras Gymkhana Club is one of the first clubs which was founded by a group of Englishmen as a location to test the competition skills of thier friends and colleagues as well as socialize. This club was initially just for the garrison members, as well as some of the blue blooded members of the Indian gentry like the royal families. Madras Gymkhana Club was established in the year 1884 when a group of distinguished Englishmen founded the Gymkhana Club in the Island grounds in the city of the then Madras, now called as Chennai. The word Gymkhana means ' a location which tests the skill of its competitiors' and that was what the club was meant to be. They started it as a place where they can socialize and play sport and hence would be known around India as the "Gymkhana". Even now the Gymkhana is there forever holding some timeless memories in many of their members' hearts. The membership of the Gymkhana Club was initially only for the Garrison members, British executives, and some of the blue blooded members of the Indian gentry. A tent was laid and sports and games were started like Polo and pig sticking . As the donations started pouring in from the royal families and others slowly the club developed properly. They added Cards, Rugby, Golf, tennis, Trap shooting etc. A bowling green came up and a ball room in the paddock as well. There were mixed people at this club, some came for the sports and games, some for the cultural recognition and some for the cherished festival nights like a Diwali or a Chritmas. Island Lounge has an old world charm and a colonial effect is given to it through wooden flooring and the pictures of the old Madras. There will be a regular calender of events posted from the different international sporting events on the big projection screen.the members can use this lounge for their conferences, children's birthday parties, business lunches and product campaigns as well as kitty parties. 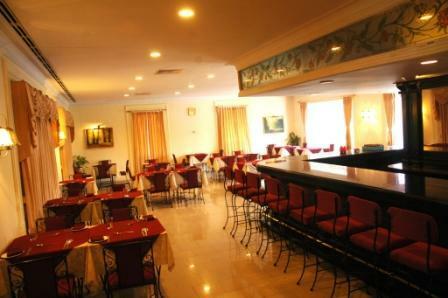 Rendezvous is a cozy a/c family dining hall which can hold about 60 people . The dining hall boasts of a sunday buffet lunch which consists of a selection from tastiest ood items in the club. Smoking is not allowed here and the hall overlooks a beautiful swimming pool. 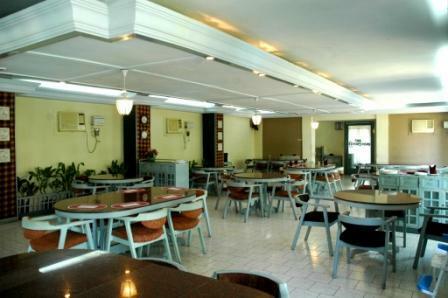 This Rendezvous hall can be used for parties, private lunches and business meetings. Mixed bar is a place whixh is exclusively for those who enjoy drinks. This is a popular place for the regulars and if you are lookig for someone they willl be surely here. This a mixed bar meaning women and children above 18 are allowed in this bar. Island lounge is one hall. Centerpoint is a small room which can hold about 25 persons, ideal for board meetings and presentations, small parties, kitty parties etc. The Buttery bar is the power centre of the club. The committee meets every monday t plan out theevents and the plans as well as the welfare of the club. The hall is centrally air conditioned and has a perfect ambience to have your presentations, business lunches and also you cam book for private parties. Excellant Buffet is served on Saturdays with a wide spread selection of exquisite dishes. The bar has a separate sit out area, where you can have a private party for 50 people. Swimming pool lawn and New lawn are two venues which can be booked for get togethers, receptions etc. 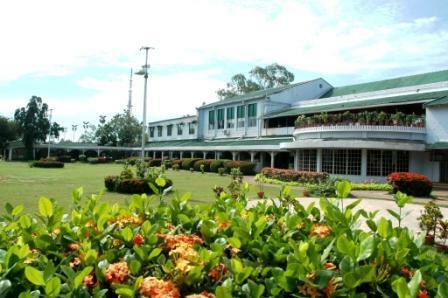 The residential quarters is available to all the members og the Gymkhana from all over the country. There are 14 rooms, that is 3 deluxe rooms, 6 regular rooms and 6 suites. 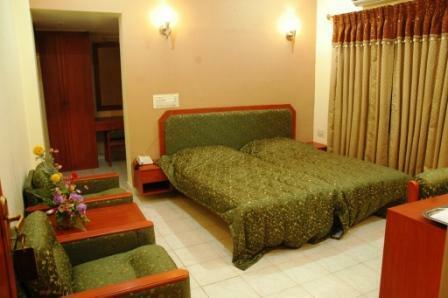 All the rooms are spacious , air conditined with all the facilities of a 3 star hotel. Room service and laundry service are also provided. The Island, Anna Salai, Chennai 600 002.